Well, the streak was bound to end. They can’t all be great. Unlike Into the Woods, Faithful Place, The Likeness, and Broken Harbor, I did not enjoy The Secret Place. In fact, I struggled to finish it. In keeping with the Dublin Murder Squad standard plot equation, there’s been a murder and you, as the reader, have a couple of hunches right off the bat. You follow the investigators – this time, it’s Detective Antoinette Conway, a brisk and seasoned officer, and a tag-along from Cold Cases, Detective Stephen Moran. Together they look into the year-old murder of a high school student from a high-brow, all-boys boarding school. The suspects? Two rival groups of four girls from the sister school. And that is exactly what I didn’t like about the book: all the dang teenagers. 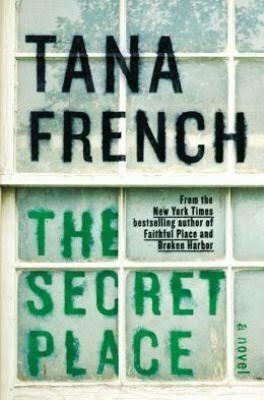 I’m a little disappointed that this is where Tana French went with her fifth book. Perhaps it won’t bother others the way it bothered me, and if that’s the case, I apologize for the negative review. All the other elements of the plot were true to the series – suspense, cliffhangers, subtle clues, and damaged people. It’s just unfortunate that the damaged people in The Secret Place were too irritating to ignore. You’ve been warned.